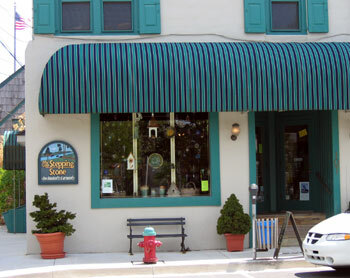 The Stepping Stone is located at the corner of Market and Front Streets in historic Lewes, Delaware. There is plenty of on street metered parking as well as a public parking lot. Out of change? Stop by the store, we always have quarters!